- Participate with the Firmware and Software Engineers in other company locations in China and the US to implement product Firmware code and Software applications. - Travel periodically to the China and US offices to build strong relationships with other developers while gaining a deep understanding of the company’s culture, goals and directions. - When needed, work with local Distributors and Customers on product issues that require developer support. - BSEE, BSCE or equivalent with a focus on Motor Drive systems development. - A least 5 years’ experience in Firmware and Software development. - Direct development experience with Industrial Field Buses such as CANopen, EtherCAT, PROFIBUS or PROFINET. - Very strong knowledge and skillset in “C” code development. Basic knowledge of “C#” and “C++” for development on Windows PCs in a plus. - Have developed applications on DSP, DSC or MCU based embedded system. Direct knowledge of Freescale, TI or more general “ARM” base embedded processors. - Must be proficient in German and English languages both verbal and written. - Solid documentation skills, good communication skills. - Ability to work with limited supervision and work within diverse, multi-cultural and cross functional teams. - Performs research, design and development of manufacturing processes including production flow, assembly methods and production equipment. - Prepares and maintains detailed layouts of buildings and equipment. - Coordinates the manufacturing launch of new/revised products including establishing goals, training team members and evaluating results. - Create manning plans based on volume forecasts for new programs. - Gives input to product design based on design for manufacture/design for assembly philosophy. - Bachelor's degree in Engineering or related field with three (3) years Engineering experience. Experience in automotive manufacturing industry is preferred. - Experience in robotics/auto bolt tightening systems/vision systems/laser marking systems. - Able to program robots/vision systems/laser marking systems. - Must be proficient in MSWord, Excel, and PowerPoint. Some Access experience preferred. - The design and development of LED switching power supply. 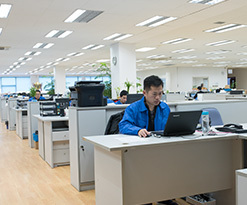 - Production, adjustment, and verification of R & D products, including project schedule planning and arrangement, product topology selection, design and evaluation of safety standards and EMI, testing and verification of newly selected electronic components, processing and productivity assessment, all kinds of design verification tests of designed products. - The making, confirmation, updating, and storing of design files. - Electronics related major, bachelor degree or above. - At least five years’ working experience in the design and development of power supply products. - Solid expertise of digital circuits, analog circuits and power electronics, familiar with all kinds of specifications and applications of electronic components. - Strong curiosity, sense of responsibility, and professionalism, excellent capability of team cooperation and communication. - Discipline and well-organized, careful, proactive and hard-working. - The design and related structure evaluation of transmission gear box. - Design and evaluation of screw shaft. - Design and evaluation of transmission structure. - Major in mechanics related. 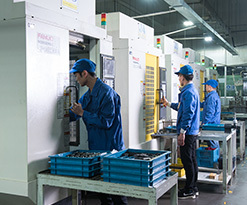 - At least two years relevant working experience in mechanical transmission structure design, especially in gear box, screw shaft and familiar with its processing technology and equipment. - Familiar with the mechanical design theory and processing technology, skilled in the design, analysis, and simulation of mechanical design software. - Good command of English is preferred. - Developing business opportunity justifications and working with apps engineering to create new product PIF and NPAW spreadsheets. - Following up on action items generated through weekly NPAW meetings. - Working with product development team to ensure that TLI, product samples and evaluation kits are available to customers in a timely manner. - Developing and updating product presentations for sales, distribution partners and customers. - Updating price books and developing competitive cross reference library. - Reviewing product datasheets and product briefs to ensure consistency and high level of quality. - Reviewing Product Change Notices, customer waiver letters by working closely with QA, product engineering as well as test and assembly teams. - Working with marketing communications on external website product content. - Assist in organization of customer events and trade shows. - Maintain regular contact and work with field sales and sales operations to ensure proper communication of product information. - Conduct product training for sales and distribution partners. -Participate in the planning, requirements analysis and design of software products. - Responsible for software architecture planning and design. - Develop, debug, and optimize the system based on design documents and architectural requirements. - Responsible for writing software development documentation. - Minimum of 2 years search engine marketing (Google, Yahoo, Bing, Baidu, etc. ), especially SEO. - Proficient user in online advertising management including Google, Bing, Facebook, etc. - Self-starter and be able to work under pressure. - Good understanding of Japanese culture, and Excellent English communication skills in oral, written and verbal. - Assumes responsibility for ongoing performance of current process and procedures. - Reviews all existing processes and procedures on a regular basis to ensure highest level of quality is achieved, troubleshoot and repair as necessary. - Reviews of work instruction data on frequent basis for clarity and suggest/implement improvements if required. - Conducts Process development experiments to ensure operation at optimal performance and to keep abreast of process improvements. - Recommends and implements positive changes to product or processes (along with supporting data) which would improve cost, delivery, and quality for the customer. - Monitors all process modifications and equipment changes and report as necessary. - Assures process or product adheres to the organization’s quality program and recommends corrective actions. - Reviews all stencil orders and provide custom instructions to stencil supplier as necessary. - Provides training on specific equipment as required, evaluates new equipment if necessary. 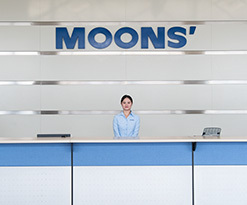 - Designs equipment and fixtures as necessary to fulfill customer requirements. - 3 years of related experience and/or training. - Basic computer skills, plus experience with word processing, spreadsheet, and internet software necessary. - Must be able to identify standard electronic components. - Familiar with IPC-A-610 standards. - Regular attendance is required. - Ability to work overtime may be required on an occasional basis. - Knowledge in some of the following: ZigBee, Wi-Fi, Z-Wave, Bluetooth, Audio, Image processing, Home Kit, LTE, Cyber Security etc. - Maintain the Reliability lab in QORVO BJ for routine operation, and continuous improvement. - Product reliability test on Product package level including qualification, ORM and PCM, and factory engineering support. - Operate all the equipment in Reliability lab exactly and expertly. - Keep reliability test following defined specification. - Equipment maintenance in Rel lab. - Equipment calibration in Rel lab. - Maintain and arrange lab to get an environment to meet QORVO Reliability requirements. - 2+ years wafer foundry, IC assembly or relative work experience, or Fresh Bachelor Major in microelectronics. - Knowledge of reliability physics, statistics is a plus. - English, basic communication skill. - Familiar with Reliability equipment and MS office fluent. - Informing job applicants of job duties, responsibilities, benefits, schedules, working conditions, promotion opportunities, etc. - Skills related to interpersonal communication: listening, speaking and writing. - Knowledge of labor and employment law, organizational development and best practices. -Manage multiple vendors of global online marketing channels including PPC, SEO of Google, Bing etc. to generate quality web traffic and high ROI of online ads. - Participate in online sales pipeline design to covert online inquiries into qualified leads and then online or offline sales. - Improve view – watch – sales online conversion rate by applying SEO best practices, and optimizing key words ads (PPC) etc. - Track online marketing expenses and ROI by consolidating, analyzing, and summarizing website traffic, leads, and transaction data. - Collaborate with in-house Products, Marketing and IT teams to deliver sticky online contents and user-friendly online processes. - Summarize and share know-how and best practices of online marketing and e-Commerce with other online marketers across the countries. - Degree in Marketing/IT/Business/English/E-Commerce - Minimum of 2 years search engine marketing (Google, Yahoo, Bing, Baidu, etc. ), especially SEO. - Have some understanding of B2B online marketing like SEO and contents marketing is advantageous. - Pursuit new customers in Japan and reach final deals based on Cross-border eCom platform. - Manages and reports potential opportunity pipeline. - Assist to develop sales strategy to achieve business goals and objectives. - Achieve monthly quota of qualified opportunities and inbound units. - Handle customer online / offline questions, manage sales opportunities to ensure potential accounts launched successfully. - Work closely with other team to grow revenue in assigned territory. - Work with partners to extend reach & drive adoption. - At least 3 years sales experience in Electromechanical industry. - Experience working in Amazon/Ebay/Alibaba is a plus. - Analytical skills using Excel would be a plus. - Good communicator, initiative and responsibility ,superior oral and written communication skills in Mandarin and in Japanese with an innate attention to detail(skills in English would be a plus).